Max Scherzer, pitcher for the Washington Nationals of Major League Baseball (MLB) is one baseballer with many records to himself and a talent only few can boast of. The power pitcher is renowned for his low three-quarter-arm delivery and can bat and throw with his right hand as well. The baseball star has achieved numerous strikeout records: he is the tenth pitcher to win at least three Cy Young Awards, the fifth pitcher to throw more than one immaculate inning in his career, and the sixth pitcher to record two no-hitters in the same season. As he continues to play, expect more to come from him. While Mikel Trout is seated as the best player in the MLB, Max Scherzer is listed among the first 5 as per Kwese.ESPN MLBRank. There is more to Max that you probably haven’t known of and therefore, we are going to let you be in the know of everything we have got about this pro-baseballer. Max was born on the 27th of July, 1984 in Chesterfield, Missouri as a son to Jan (Shirck) and Brad Scherzer. 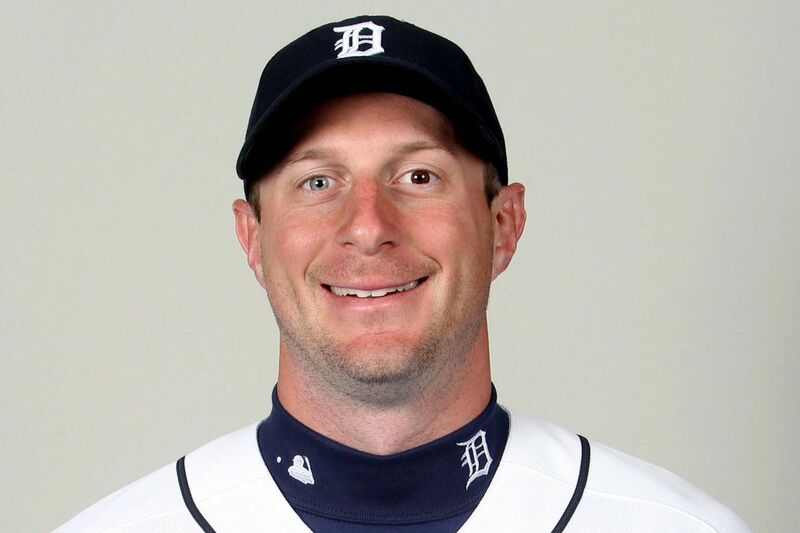 His full name is Maxwell Scherzer and he spent much of his growing up days in Chesterfield. He schooled at Parkway Central High School in his hometown where he also played baseball for the school’s team. An opportunity to play in MLB came his way in 2003 when he got drafted by the St. Louis Cardinals in the 43rd round (1,291st overall) but he did not sign the contract, rather, he opted to attend the University of Missouri in Columbia, Missouri. In his freshman year of college, Max Scherzer made his debut appearance in a collegiate summer baseball league with the La Crosse Loggers of the Northwoods League (NWL). Following his impressive performance where he struck out 50 batters in only 33 innings pitched and a 1.91 ERA with 6 saves, he was named a mid-season All-Star. Three years after his failed draft, in 2006, he got drafted in the 1st round as the 11th overall pick by the Arizona Diamondbacks. However, he and his agent failed to reach an agreement with the D-B side thus he didn’t join them but rather started his professional career with the Fort Worth Cats of the independent American Association. He only needed to make appearances in three games for the Diamondback to come calling again with a contract worth $4.3 million to which he signed. Max Scherzer started playing in the Diamondbacks organization in 2007 and grew quickly to prominence needing only but a few games to prove his worth before finally landing a spot in the main team in April 2008. He made his MLB debut on April 29 in a match against the Houston Astros. As expected his performance continued to improve and by 2009 he became a full-time starter for the Diamond side. Max recorded his first major league victory in a 12-0 win against the Atlanta Braves and 10 days later, he also recorded his second league win on May 26, 2009. However, come December in the league season, he was traded to the Detroit Tigers together with Daniel Schlereth, Phil Coke, and Austin Jackson to pave way for Ian Kennedy and Edwin Jackson to join the Diamondbacks and Curtis Granderson to the New York Yankees. With the Tigers, his performance wasn’t short of impressive till he made a move for Washington Nationals. Having played for the Detroit Tigers for 5 years, helping them reach the postseason in all of those years including the World Series in 2014, won 21 and 18 in 2013 and 2014 respectively, it would only take an amount that will break the bank to still keep Max Scherzer with the Tigers after he became free in 2014. The Detroit Tigers side offered $160 million to still have him pitch for them but when Washington Nationals offered a 7-year contract worth $210 million, you definitely know which side he committed himself to. 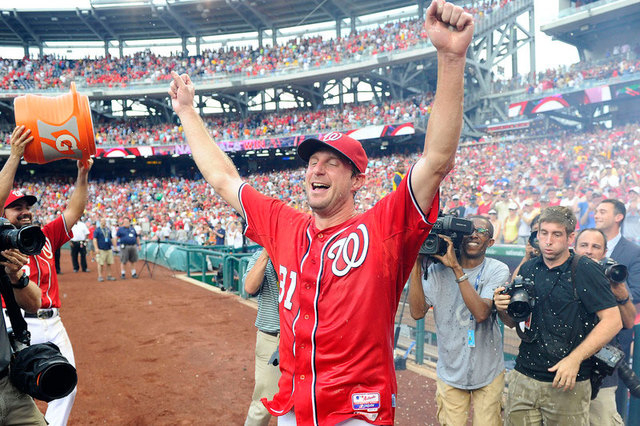 Max Scherzer’s contract with the Nationals became the largest in their history and the second highest for any pitcher behind the Dodgers’ Clayton Kershaw. In addition to this mouthwatering amount, he got a $50 million signing bonus which was spread out across the lifespan of the contract. His salary is a handsome $15 million per year till 2018 and by 2019, it is scheduled to be at $35 million for the final three years of his contract with the Nationals. What Happened To His Eyes? Another distinguishing characteristic of Max Scherzer in addition to his extraordinary pitching abilities is his two colored eyes. He has a blue and brown eye, a genetic condition known as heterochromia iridium which is a trait that causes each eye to be a different color. In an interview his mother granted in 2005, she made it known that when he was born, he had blue and green eyes. She took him to a pediatrician and they informed her that the eyes may go back to normalcy even though it was not certain. However, as Max grew older, the blue eye got bluer while the green eye turned brown. The Nationals began selling M&M’s in blue and brown in honor of Scherzer’s heterochromia. Max Scherzer is married to Erica May who he met at the University of Missouri where both of them were pitchers. May played softball for the college’s softball team but a terrible heart condition forced her to discontinue playing. They got married on November 2013 after 8 years of dating and 4 years later in November 2017, their daughter Brooklyn May-Scherzer was born. The family of three have their home in McLean, a suburb of Washington, D.C in Northern Virginia where they live with four rescue canines and two felines.